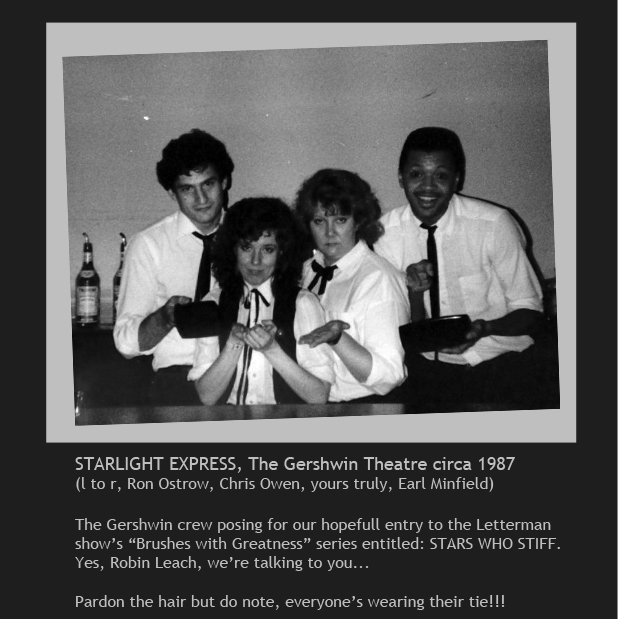 This entry was posted in Authentic, Baby Boomer, Creative Process, Friends & Family, Humor, Living the Dream, Theatre, Uncategorized, Women of a Certain Age and tagged Aaron Sorkin, bartending, Biloxi Blues, Brighton Beach Memoirs, Broadway, Broadway Bound, Brooks Atkinson Theatre, Catholic Church, Edward G. Robinson, Jackie Mason, John Houseman, Letterman, Little Caesar, Marriott Marquis Theatre, Matthew Broderick, Me and My Girl, Neil Simon, Pearly King, Robert Lindsay, Ron Ostrow, Tony Award by theRipeProject. Bookmark the permalink. What a tantalizing way to frame it — I’m going with that version! Great story. Tie or no tie, I am still a fan of Aaron’s. On a side note, you worked with Ron Ostrow? I went to school with him. He was a good friend of my freshman year roommate (both were in the Theatre Dept. at Ithaca). Small world, missy!!! so THAT’S how you fire someone gently. Yeah, with your eyes closed and fingers crossed behind your back…The basic indirect route! Hmm it looks like your blog ate my first comment (it was super long) so I guess I’ll just sum it up what I submitted and say, I’m thoroughly enjoying your blog. I too am an aspiring blog writer but I’m still new to everything. Do you have any helpful hints for novice blog writers? I’d certainly appreciate it. I’ll visit your blog right now – keep on writing!